delving into the magical underbelly of Atlanta! I have never been to the South of the US, and so I've only read about the humidity, the scorching heat, the lush vegetation and the monsoon-like rain. 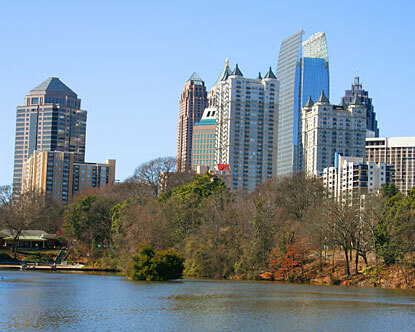 Though I assumed as a big American city it would have its share of skyscrapers, I still imagined Atlanta to have mansion looking houses and wide lanes. 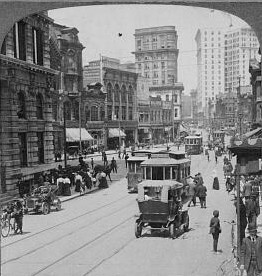 "In 1907, Peachtree Street, the main street of Atlanta, was busy with streetcars and automobiles." It came quite a long way, didn't it? And where are you traveling this Tuesday? 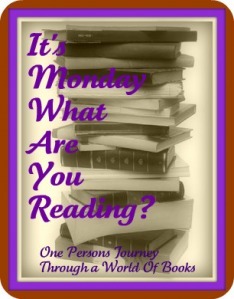 It's Monday, What are you reading this week? 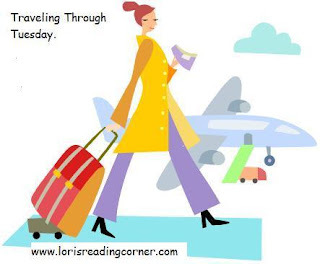 is a weekly event hosted by One Person's Journey Through a World of Books to list the books completed last week, the books currently being read and the books to be finished this week. 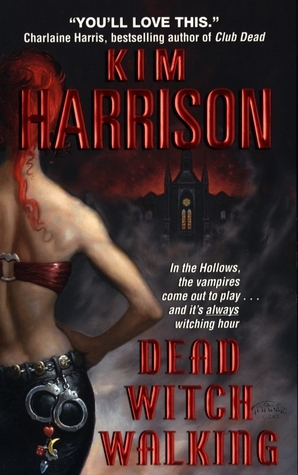 Dead Witch Walking by Kim Harrison and I enjoyed it very much! I'm hooked on this series and can't wait to start the second book. Goodreads appetizer: Ruth is thirty two years old and doesn't know if she wants to be thirty three. Her meticulously-ordered lonely life as a microbiologist is starved of pleasure and devoid of meaning. She decides to give herself three months to decide whether or not to end her life, and we read her daily diary as she struggles to make sense of her past and grapples with the pain of the present. "Thaw" explores what makes any of our lives worth living. Can Red, the eccentric Russian artist Ruth commissions to paint her portrait, find a way to warm her frozen heart? 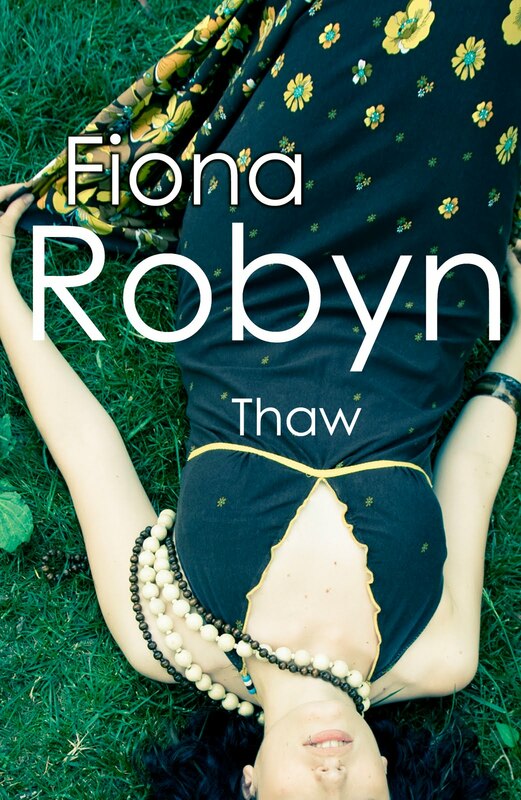 I love the cover of Thaw, the colours are so strong and yet peaceful, I can't wait to read this and see the story behind the cover! I won this from Helen at Helen's Book Blog, thank you Helen /and for the nice postcard too! :-)/! Goodreads appetizer: From today's most provocative authors come four tales of urban fantasy and paranormal romance exploring body art that is more than it seems-in a world of magic and mayhem that always leaves its mark. Goodreads appetizer: Glasgow is being terrorised by a serial killer the media have nicknamed The Cutter. The murders have left the police baffled. There seems to be neither rhyme nor reason behind the killings; no kind of pattern or motive; an entirely different method of murder each time, and nothing that connects the victims except for the fact that the little fingers of their right hands have been severed. If DS Rachel Narey could only work out the key to the seemingly random murders, how and why the killer selects his victims, she would be well on her way to catching him. But as the police, the press and a threatening figure from Glasgow's underworld begin to close in on The Cutter, his carefully-laid plans threaten to unravel - with horrifying consequences. I received this ARC from Simon & Schuster UK because I particpate in the Suspense & Thriller Reading Challenge over at The Book Chick City. Goodreads appetizer: Penniless, her parents and brother dead, Sophia Whitfield struggles to save her beloved childhood home during the Civil War. Another bluecoat is staggering down the hill, but before Sophia allows him to rob and pilfer like the others, she shoots him. How is she to know it is Gavin, the dark knight of her youth, carrying secrets too horrific to imagine and a passion that ignites her deepest desires? As Sophia gradually learns Gavin's secrets-and enjoys his talents in the bedroom-she discovers how to finally know her own heart. Can she save the Land of Falling Stars, or will she lose it all to the horrors of the War and Reconstruction? And will the Southern lady and the Yankee soldier be able to recapture the bliss of their youth - this time in each other's arms? I received this eBook from CherryD for review, thank you! 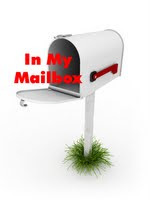 And what was in your mailbox this week? 1 / 8 books. 13% done! This is the place where I'll list all the books I read for this challenge. 5 / 5 books. 100% done! Amazon appetizer: Nothing will stop Cadeon of the Rage Demons from finding the means to atone for the one wrong that haunts him. But once he captures the key to his redemption, the halfling Holly Ashwin, he finds that the woman he thought he could use for his own ends and then forget haunts him as much as his past. Raised as a human, Holly Ashwin never knew that some legends are real until she encounters a brutal demon, who inexplicably guards her like a treasure. Thrust into a sensual new world of myth and power, with him as her protector, she begins to crave the Cade's wicked touch. Yet just when he earns Holly's trust, will Cade be forced to betray the only woman who can sate his wildest needs - and claim his heart? My thoughts: This is the 6th book in Kresley Cole's Immortals After Dark series. We have already seen glimpses of Cadeon in the 3rd and 4th book: he was also competing in the Hie (the big tournament of the Lore) and he almost vied for the attentions of Mariketa in book 4. Cadeon is the younger Woede brother, having been blamed and feeling guilty for having lost Rydstrom's crown for the last 900 years, he is determined to do everything to atone for his past mistake and reclaim the crown and the kingdom for his brother. The Woede brothers are on the way of finding their last opportunity for that when Rydstrom disappears leaving Cadeon in charge while he tries to make sure Holly the one who was destined for him survives the constant attacks on her life. This book was a very enjoyable read as not only was the story fast-paced and action packed, but the characters were likable and original. I particularly grew fond of Holly, with her peculiar OCD quirks (since I wasn't that familiar with this disease I really liked all the details Kresley Cole put into portraying it and making it such a crucial part of Holly's personality). You couldn't find two more different charcters: prim and polite, shy and professional geek that is Holly and the savage, crude talking, loud demon that is Cade. And yet their due is believable and the chemistry sizzles! Verdict: Kresley Cole delivers the usual scorching hot attraction and tops it with fast-paced action. One of the best books in the series, don't miss it! Amazon appetizer: From New York Times bestselling author, Kim Harrison, comes the first book in an exciting urban fantasy series; packed with the perfect balance of wry humour and thrilling action, which will delight fans of thrillers and fantasy alike. Rachel Morgan is a white witch and runner working for Inderland Security, in an alternate world where a bioengineered virus wiped out a great deal of the world's human population -- exposing the existence of the supernatural communities that had long lived alongside humanity. For the last five years Rachel has been tracking down law-breaking Inderlanders in modern-day Cincinnati, but now she wants to leave and start her own agency. Her only problem is that no one quits the I.S. Marked for death, Rachel will have to fend off fairy assassins and homicidal weres armed with an assortment of nasty curses. She's a dead witch walking unless she can appease her former employers by exposing the city's most prominent citizen as a drug lord. But making an enemy of the ambiguous Trent Kalamack is just as deadly as leaving the I.S. My thoughts: Another book, author and series I discovered thanks to blogger promotions and competitions (I won this book from Kenda at Lurv á la Mode, thank you Kenda! ), and I'm really glad I did! In Kim Harrison's urban fantasy universe magic and all paranormal creatures are out in the open and known by the humas, trying to coexist peacefully. I really enjoyed reading this book, because the writing is fantastic: it is detailed enough, just as I like it, but still moves at a fast pace. The story is always on the go, which made it very frustrating to me - who mostly reads on my way to work - to have to stop at exciting parts when I arrived at my destination, so I would recommend you read this book when you can read at your leisure, this is no book to read 20 pages and then stop. Kim Harrison is great at storytelling, Rachel's narrative is sarcastic and humourous, her dry wit and personal touch making the story even more real. Kim Harrison's characterization is layered, interesting and deep. Her characters step off the pages and Rachel, Ivy and Jenks feel as real as if you knew them personally. Each of the characters, minor and major, are well developed, with their unique quirks and flairs (I especially love the pixy family: though in size Jenks is the smallest, he is one of the best charcters!). I love all the details Kim Harrison put into her characters giving them depth and more flesh. Several issues weren't closed at the end of the book, so I hope the second book will address them. Verdict: All in all a great read, fantastic debut to a series, and I can't wait to read more! Kim Harrison is another author to watch and add to your urban fantasy to-read-list. Dead Witch Walking only gets 4 stars because I feel this series will become even better, and I will need those 5 stars for the later books. Jennifer from Crazy for Books is the one responsible for the fantastic phenomenon called the Book Blogger Hop (affectionately simply called "THE Hop"). So head on over to THE Hop's site over at Jennifer's blog to discover some new blogs you haven't heard of yet. 1. Read all eight books in the series plus the novellas. Any format will do. 2. Challenge will run from March 1, 2010 to whenever you finish the read--or February 28, 2011 (whichever comes first); that way we'll have time to read/collect/savor them all. 2-3 books=IS Runner in training. 5 books (and a short story or two)=you've been pixed! Lately I have come across so many people raving about Kim Harrison and her fantastic Hollows series and because of a stroke of luck having won the first 2 books in the series, so this challenge is perfect for me! This week's In My Mailbox was the best ever!! Goodreads summary: When the magic is up, rogue mages cast their spells and monsters appear, while guns refuse to fire and cars fail to start. But then technology returns, and the magic recedes as unpredictably as it arose, leaving all kinds of paranormal problems in its wake. Goodreads summary: Rose Drayton lives on the Edge, between the world of the Broken (where people drive cars, shop at Wal-Mart, and magic is a fairy tale) and the Weird (where blueblood aristocrats rule, changelings roam, and the strength of your magic can change your destiny). Only Edgers like Rose can easily travel from one world to the next, but they never truly belong in either. Rose thought if she practiced her magic, she could build a better life for herself. But things didn't turn out how she planned, and now she works a minimum wage, off the books job in the Broken just to survive. Then Declan Camarine, a blueblood noble straight out of the deepest part of the Weird, comes into her life, determined to have her (and her power). But when a terrible danger invades the Edge from the Weird, a flood of creatures hungry for magic, Declan and Rose must work together to destroy them, or the beasts will devour the Edge and everyone in it . . . 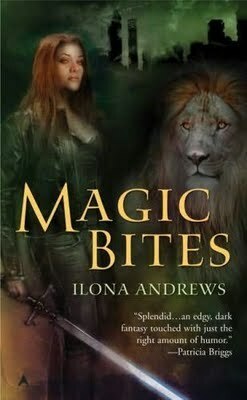 I have read so many wonderful reviews about Ilona Andrews and her UF series that I couldn't wait to get my hands on the first books of her series! Now they are on the top of my TBR pile, can't wait to start reading them. Goodreads summary: Mercy Thompson's life is not exactly normal. Her next-door neighbor is a werewolf. Her former boss is a gremlin. And she's fixing a VW bus for a vampire. But then, Mercy isn't exactly normal herself. Patricia Briggs was first recommended to me when I discovered the urban fantasy universe and fell in love with Kelley Armstrong's Otherworld series. I simply cannot say how come I haven't read her ever since. But now I took matters in my hands and ordered the 1st book in the mercy Thompson series!! This came highly praised too, so I hope I'll be in for a treat. Yet just when he earns Holly's trust, will Cade be forced to betray the only woman who can sate his wildest needs -- and claim his heart? This is the 6th book in the series, I wanted to buy this before Christmas when I ordered the 5th and 7th books, but they ran out of stock so I had to read the series skipping Cade's story until now. I have discovered so many highly praised authors - previously unknown to me - thanks to book blogs, I can't wait to read their books. Goodreads summary: Seattle. One minute you're drinking a vanilla breve, the next, some creepy old dude is breathing on you, turning you into a zombie. And that's just for starters. Now, the recently deceased Amanda Feral is trying to make her way through Seattle's undead scene with style (mortuary-grade makeup, six-inch stilettos, Balenciaga handbag on sale) while satisfying her craving for human flesh (Don't judge. And no, not like chicken.) and decent vodkatinis. Making her way through a dangerous world of cloud-doped bloodsuckers, reapers, horny and horned devils, werewolves, celebrities, and PR-obsessed shapeshifters--not to mention an extremely hot bartender named Ricardo--isn't easy. And the minute one of Amanda's undead friends disappears after texting the word, "help" (The undead--so dramatic!) she knows the afterlife is about to get really ugly. This is the first in the Amanda Feral series, I have won this from Steph at Paper Cut Reviews. Goodreads summary: The underground population of witches, vampires, werewolves—creatures of dreams and nightmares—has lived beside humans for centuries, hiding their powers. But after a genetically engineered virus wipes out a large part of humanity, many of the "Inderlanders" reveal themselves, changing everything. First in the Rachel Morgan/Hollows series, won this from Kenda at Lurv á la Mode. 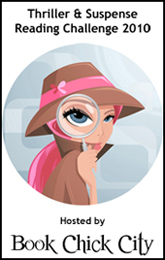 Goodreads summary: Rachel Morgan s back, and in more trouble than ever! Fans of Laurell K. Hamilton and other vampire novels won t want to miss the second novel in Kim Harrison s addicting--and already bestselling--supernatural series. Former-bounty-hunter Rachel Morgan has it pretty good. 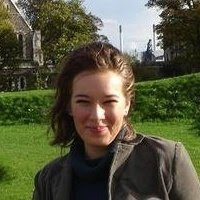 She s left the corrupt Inderland Runner Service and started her own independent service. She s survived werewolves, shape-changing demons, bad-hair days, and sharing a church with her vampire roommate Ivy. She even has a cute (if human) boyfriend-what more could a witch want? To save herself and Ivy, Rachel must confront the vampire master-and the dark secrets she s hidden even from herself. Second in the Rachel Morgan/Hollows series won this from Kenda at Lurv á la Mode. Thank you Steph and Kenda for these fantastic books!! I received my very first award from Jennifer at Reading with Tequila. Thank you! 2. My biggest love besides reading is travelling! One of the greatest adventure of my life was visiting China! 3. I have had all sorts of animals while growing up: parrots, cats, hamsters, rabbits, ducks, birds and a dog who lived for 15 years (all this with my mom not liking and being afraid of animals). 4. I'm obsessed with lighthouses, I love them. I would love to spend a vacation living in one, it must be amazing to hear the constant sound of the waves and look out on such a vista. 5. I have two "little" sisters (though they are not that little anymore as they are 23 and 19 years old). 6. I almost drowned when I was 4: my family went with some friends to a swimming pool and while everyone was relaxing I walked down the steps of the pool, one step at the time, not really caring that the water was above my head. My dad's best friend yanked me out after he saw I was under. 7. I love horses and I would love to learn how to ride. sailing on the Amazon in the middle of the jungle! As that is where for the most part Kresley Cole's Pleasure of a Dark Prince is set. Kresley Cole is wonderful at setting the scene, her descriptions are so evocative, that although I have never been in South America or in a jungle for that, thanks to her detailed and vivid descriptions I see it! I see the big old fashioned worn ship, the lush buoyant exotic green trees, the untamed river and all those unseen and fearful weird wild animals (anacondas, caimans). I would love to go to South America, and although it would be interesting to see how the wild life is in the Amazonas, a few days would be enough for me, I would prefer to travel and see the remains of ancient, lost civilisations, to climb the Machu Picchu, etc. It's Monday! What are you reading this week? is a weekly event hosted by One Person's Journey Through a World of Books to list the books completed last week, the books currently being read and the books to be finished this week. My sister came to visit the last week and we had family gatherings nonstop, so I didn't get too much reading done this past week. Most of the books I bought last weekend still haven't arrived, so now I don't know what to read next..hm..
Goodreads appetizer: Nine-year-old Emily Anne Toussaint is fatally shot on a Montreal street. A North Carolina teenager disappears from her home, and parts of her skeleton are found hundreds of miles away. The shocking deaths propel forensic anthropologist Tempe Brennan from north to south, and deep into a shattering investigation inside the bizarre culture of outlaw motorcycle gangs -- where one misstep could bring disaster for herself or someone she loves. Kathy Reichs? astonishing bestseller pulses with cutting-edge scientific know-how -- and the narrative power of an award-winning crime fiction star. My thoughts: I realized that there are some books for which I can't write a normal length or detailed review as they either didn't provoke that much thought from me, or I just don't have too much to comment. So from now on I introduce the "Mini Review". As the majority of all those who read this series I also picked it up because I'm a huge fan of Bones, and wanted to read more of the Bones goodness. I saw quite early that the heroine of the books had only two things in common with the protagonist of the TV series: they were both called Temperance Brennan and they shared the same occupation, but beside these 2 you couldn't find two persons more different. Just to name a few as examples: the Tempe in the TV series is in her early 30s, while the book Tempe is over 40. The series Tempe was abandoned and had no family until recently, she is closed off and doesn't have too many friends, while book Tempe had a husband, has a daughter, sister, nephew, many friends and she is friendly and easy with new people. Anyway I won't detail this any more, you get the picture. You have to consider these books completely separate from the TV series or else you will be disappointed. Deadly Décisions is the 3rd Temperance Brennan book. I confess I didn't enjoy the first book in the series that much, found it dragging and a bit slow, thought the second was an improvement, the plot was more interesting, but with this third there is no doubt Kathy Reichs' writing got better! The long scientific blabla is not boring and dull anymore, the story flows much more easily. I hope this tendency will continue and the 4th book will be even better. Biting in this soft, warm light dessert you are transported back in time: you hear the waltz, see frilly frocks and horse drawn carriages. Its origin is traced back to the Austro-Hungarian Empire and has conquered the world since. It is called 'rétes' in Hungarian, but the world got to know it under its German name 'Strudel'. Up until the last couple of months I wasn't too fond of the strudel as I imagined it must be a complicated dessert, the preparation of which was not only lengthy but also difficult. I couldn't have been more wrong! Since you can buy strudel sheets in pre-prepared packages in most stores the preparation of this delicious and extraordinary dessert only takes about 20 minutes. The strudel can be sweet or salty and can be filled with anything, just a few ideas to inspire you: some salty fillings: spinach and ricotta filling, broccoli puree, pumpkin, cheese paste, bolognese sauce (almost like the one you use on spaghetti, but make it a lot less liquid or else it will leak out!! ), some sweet fillings: apple, sour cherry, quark/curd cheese and raisins, poppy seed, etc. Use 3 sheets of strudel sheet for 1 roll. 1. Preheat the oven to 200 Celsius and put baking paper on a baking tin. 2. Separate the egg yolks and whites and mix the yolks with the curd cheese, sugar, cream, lemon skin and juice, semolina and raisins. 3. Whip the egg whites until they are hard, then gently mix the whites in the curd cheese mixture. 4. Wet a kitchen cloth and put it on the kitchen table. Gently peel off one strudel sheet from the package and lay it down on the wet cloth. With a cooking brush grease the sheet with oil, don't soak it, just thinly oil the whole surface, then lay a second sheet on the oiled first one and grease this second sheet too, then do it again with the third sheet. Once the third sheet is oiled too, thinly sprinkle it with fine bread crumbs (it will absorb the extra moisture from the filling and thus preventing it from soaking the strudel sheets). 5. Put the filling in an approx. 4 cm wide line, but leave approx 2 cm on each side as well as 4-5 cm from the edge of the sheet. With the help of the wet cloth roll up the strudel sheet, put the roll on the baking tin and tuck its edges under, so the filling won't leak out. 6. Oil the top of the roll and bake it for approx. 10 minutes, until it is golden. Let it cool a bit before slicing up the roll in diagonal pieces. Tell me what kind of strudel you made and what filling you whipped together, would love to try out new ones! Goodreads summary: #1 New York Times bestselling author Kresley Cole enraptures again with this seductive tale of a fierce werewolf prince who will stop at nothing to protect the lovely archer he covets from afar. 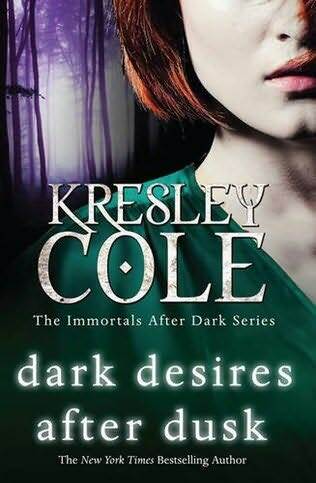 I love Kresley Cole's Immortals After Dark series, and have been waiting for Garreth and Lucia's story ever since the first novel! I'm reading it right now, and enjoying it very much! Goodreads summary: He vowed never to love again. She is afraid to love. A passion so strong they cannot resist. Ruggedly handsome pediatrician, Dr. Tristan Knight, is done with marriage. Once is enough. Eager to avoid making another mistake of getting trapped in marriage vows, Tristan wields strong control to suppress his growing attraction to his sister's friend, Julie Parrish. But his resolve is tested when an unusual request for help lands on his lap--marry Julie. Author and former model, Julie Parrish has been trying to keep her image clean; otherwise, her drunkard father will get the inheritance her mother has left her. She will never let that happen. But her stepmother, Marla, has learned about the will's stipulation. Since then, she's been attempting to prove to the lawyers that Julie is far from being clean. Fortunately, her mother has added an out to the will. Marriage. So when Tristan surprised her by offering his help end her problem with Marla, she accepts. But Julie wants more than just a ring. She wants the elusive doctor's heart. Wicked Knight was voted Book of the Month over at Dark Divas Review . I won this book through Alaine from The Queen of Happy Endings. I can't wait to dig into this story, the reviews have all been great. And what books did you get this week?